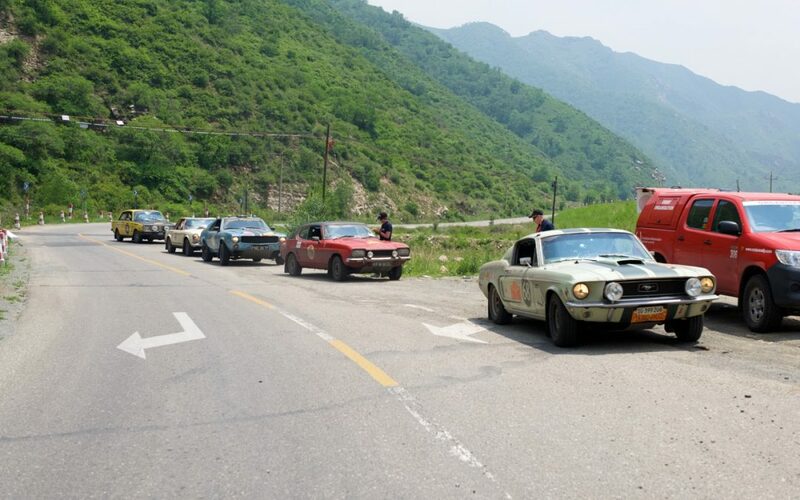 With over 100 cars leaving at 1 minute intervals it might seem like a convoy but in fact the cars spread out quickly and you can go a while without seeing anyone and then at Time Checks and fuel stops cars start to group together again. 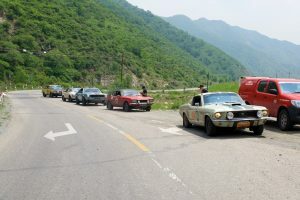 We left this morning in number order with the Pagoda Mercedes (no 93) 1 minute behind and then turned into the hotel car park in Erenhot over 600km later with them right behind – but hardly saw them all day. A long day today but 2 days in everything fine. As we climb it is much cooler today for both car and occupants.